Here are a few more pictures taken last week. Upon looking at the lambs this morning, I have realized just how fast they are growing...not only in their bodies, but in their behavior and minds as well. 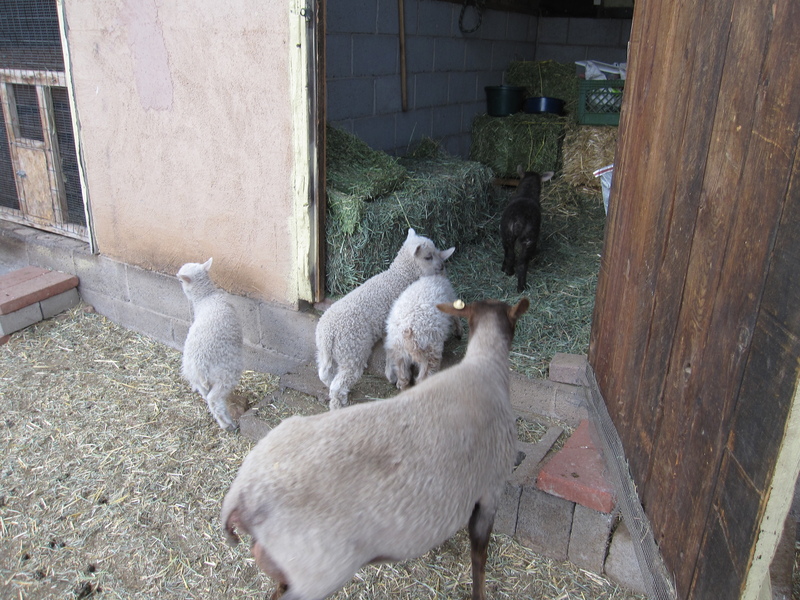 The lambs have started eating more and more solid foods while the moms have shortened nursing times dramatically. I find this funny as the lambs simply run a circuit of "Lamb Races" only to head back to Mama for a quick drink before heading out again. They may not be nursing as long but what they lack of in time they make up for in quantity. 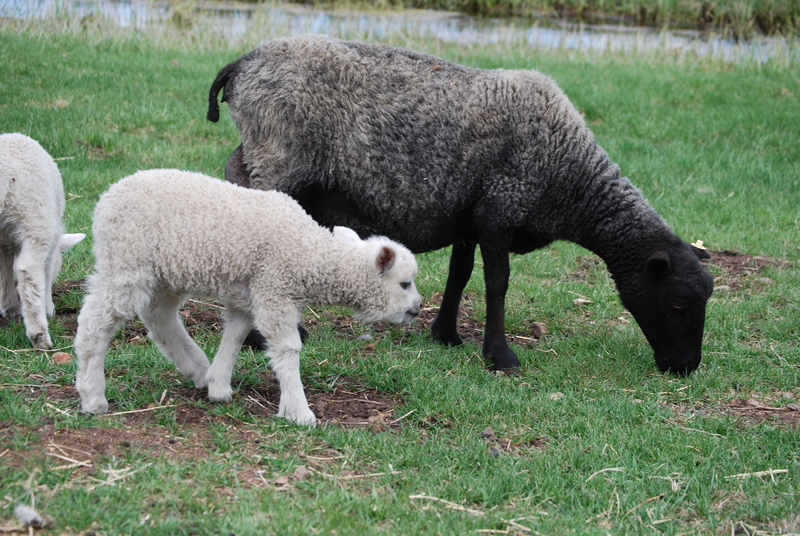 Sugar (white/gray with spot) and her sister, Candy, were a few days behind the other lambs. These are Ailee's girls who were born by c-section. 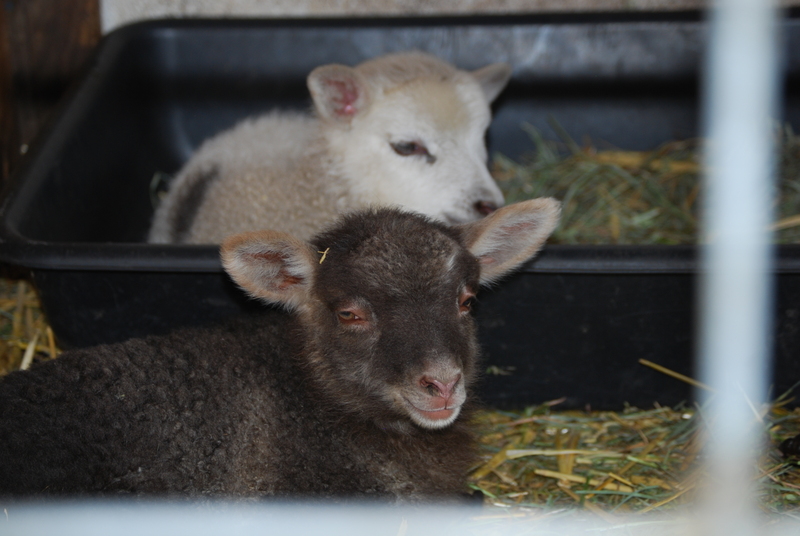 They are two of the sweetest sheep I have ever seen - hence the names. 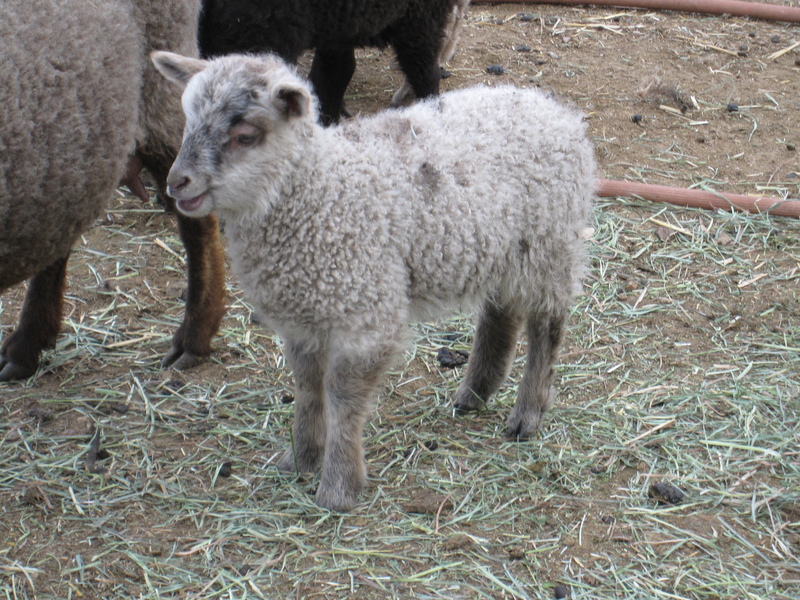 This little charmer is one of Amanda's triplets. I haven't named her as yet. Her sisters are darker but she's got some interesting markings - or is it pheomelanin coming through the white? Wikipedia has a nice simple definition for we mere mortals: "Another common form of melanin is pheomelanin, a red-brown polymer of benzothiazine units largely responsible for red hair and freckles." Hmm...maybe I should name her "Freckles"??? Here's Loretta with her two. 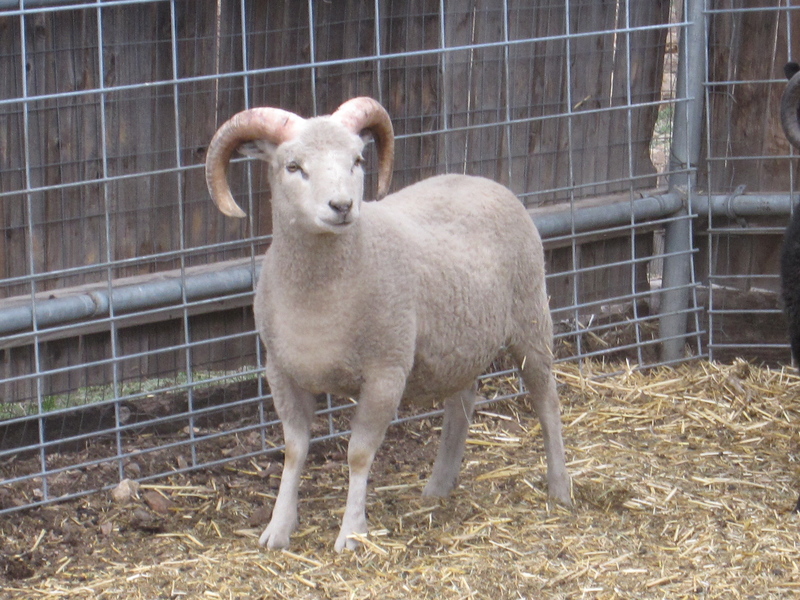 We've tentatively named her ram lamb "Rory", after the little sheep of The Barn comic strip. I need to get a nice photo of Rory to send to the cartoonist who does the strip. He is so very nice and really gives us a chuckle each morning. Candy and Sugar taking a bit of a siesta in Ailee's feeder. Candy, being sweet. Normally she's jumping all over me wanting a scratch or a brisket rub. 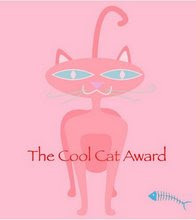 We're working on "minding our manners" this week. And finally, They're Off!!! 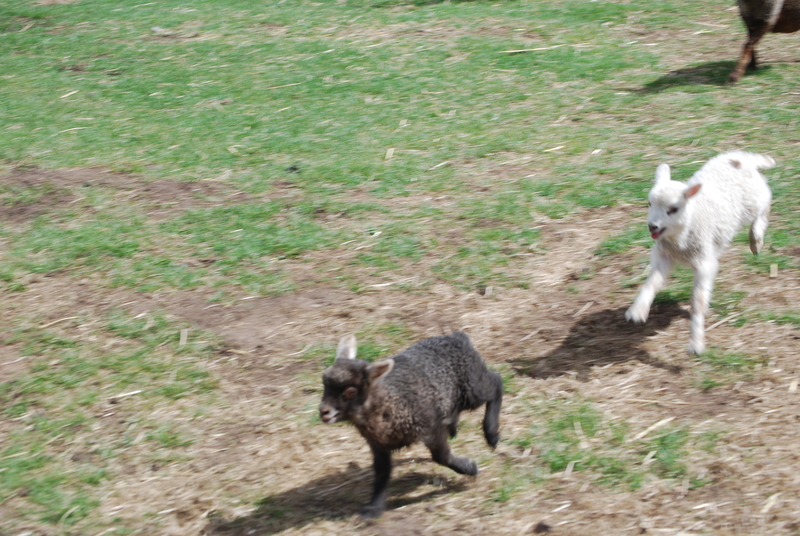 The Lamb Races have begun in earnest here at Sheep Thrills Farm! It's been a very busy few weeks around Oleo Acres (one of the cheaper spreads). 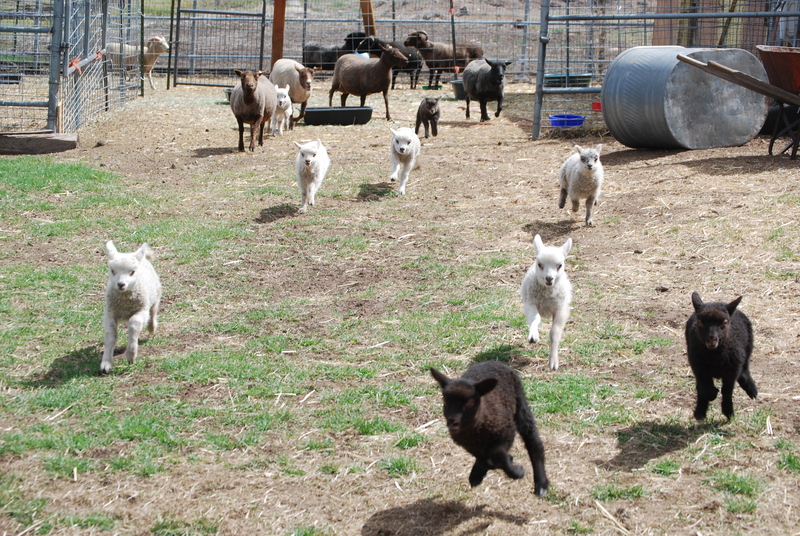 The lambs are growing so fast now and the Lamb Races have officially begun! A few times a day the girls and their babies are turned out into the pasture area for some noshing grass and running excess energy off. It's funny to see the moms running after the speed demons the lambs are - huge udders weighing them down from joining in fully. 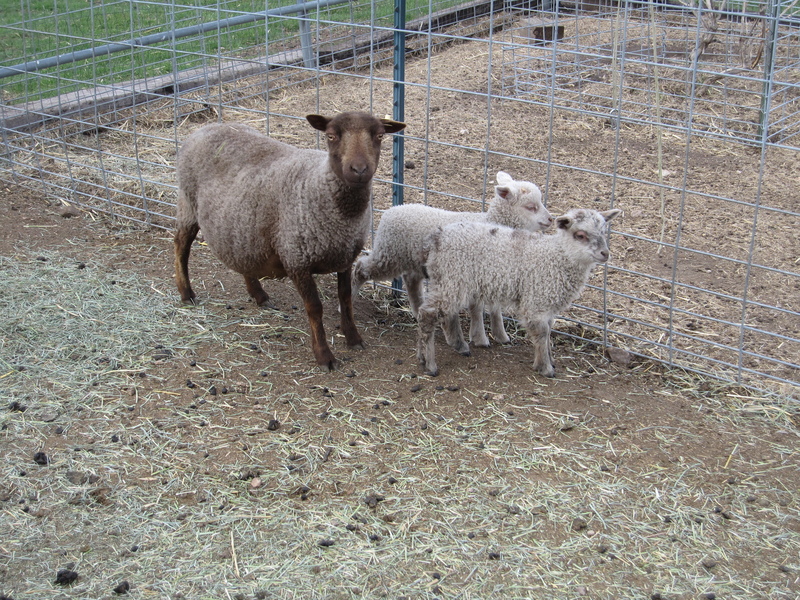 It's amazing to me to see each ewe taking turns as the "babysitter". The sitter watches the lambs while the others enjoy the grass or have a long drink of water at the trough. One will spell the other and the process begins again. While I sit and watch the goings-on I have noticed the boys in their pen. At times I see the wethers and Loki running the fenceline just begging to be let in with those babies to show them what running is really all about. Then I will see Loki, his head gently resting on one of the wires of fencing and looking my direction, batting his eyes. What a ham. "No one's paying any attention to me and I should come first!" I go over and scratch his chin through the fenceline. "Later, Lok-ster. I promise." Here are a few photos our friend Lois, from Stonehaven Farm, took as she came through on her way to the hospital on the reservation. More will follow...I have finally figured out a better way to load them to the blog. These are just a few photos. It seems when I take my camera down to the barn I either have nose prints on the lens or the lambs are running so fast it's hard to get good shots in even with the "Sports" setting. 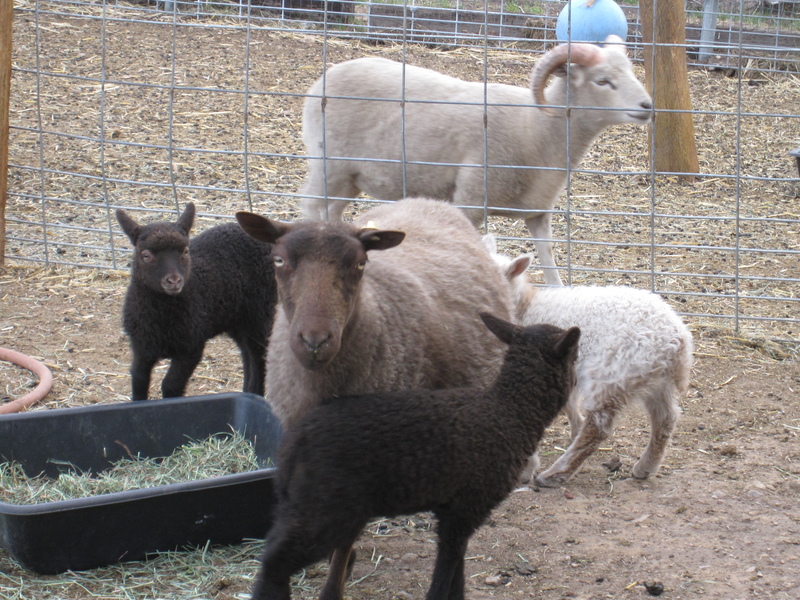 And, if you get a chance, please stop by my sheep-friend Michelle's blog. 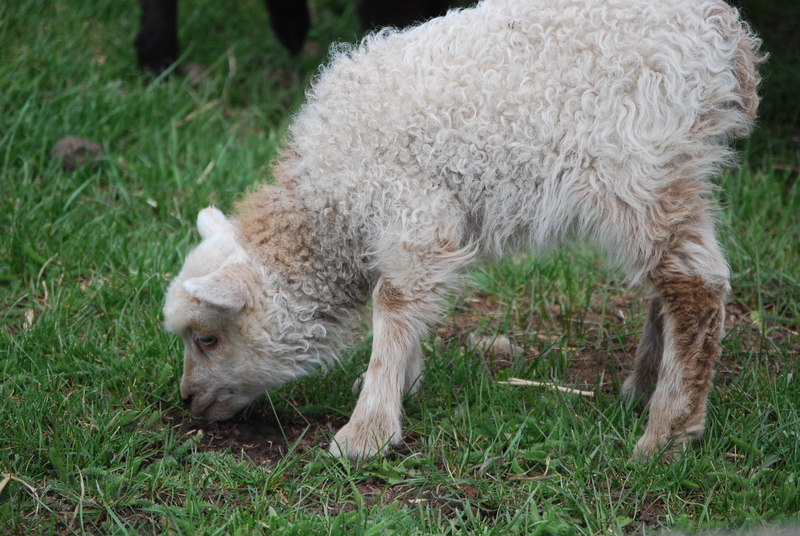 Michelle lost the ewe to a beautiful little ram this morning. 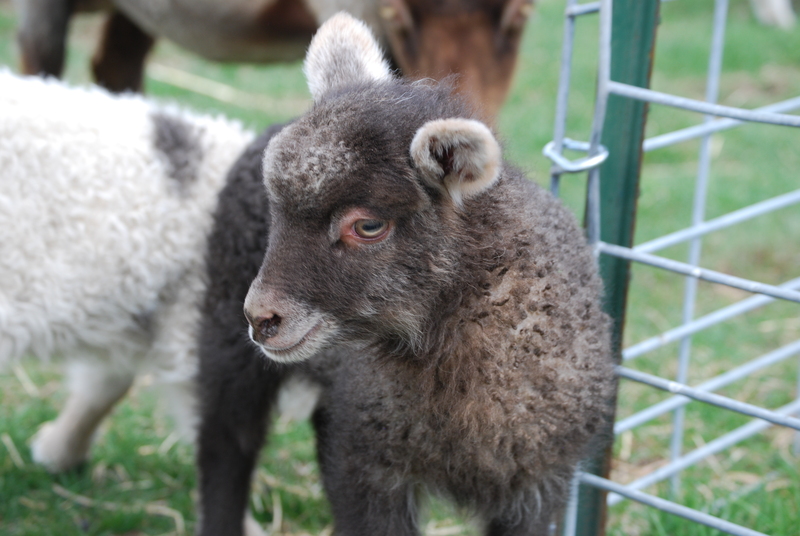 I know her heart is hurting very much over the loss of her Brava - one of her first Shetland sheep. She could use some "hugs" right now. Thanks.